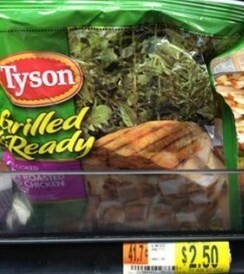 Tyson Grilled & Ready Chicken only $1.40 w/ Coupon! You can get cheap chicken at Walmart! This chicken is great on salads or fajitas.